It is fascinating to be alive at this time of transformation on planet Earth. One of the best indicators of change within the human consciousness toward a higher level of being is the essence of the Indigo child. These children are different from most children in the way that they act and the way they deal with life. Indigo children are here to show humanity how to live in unconditional love and to anchor these higher vibrational energies into the planet. Nancy Ann Tappe, author of the book “Understanding Your Life Through Color ”, studied the auric field labeled indigos for their indigo colored aura. The aura is the electromagnetic energy field that the human body carries, and an indigo color indicates traits of master communicators that are highly intelligent and intuitive with a passion for peace and truth. Indigos are balanced in the heart and the head. Doctors tend to say there is no such thing as Indigo children, and many Indigo children have been erroneously diagnosed with ADD and ADHD. Living with the societal pressures of medical diagnoses is just one of the challenges of the Indigo child today. Most Indigos were born in 1978 or later, although some adults carry the Indigo traits. Indigos are highly intuitive- they know what feels right to them and anything else is disruptive to their system. These children have food sensitivities and may be very picky. They may have imaginary friends or see spirits: “dead” people, guides, angels, and/or extraterrestrial beings. Indigos are very empathetic- they are sensitive to the feelings of others and sometimes pick them up and carry these energies with them. They are feelers rather than thinkers most of the time. These children have a natural resistance to rigid rules and guidelines and deem them archaic. They are here at this time to bring the energies necessary for a consciousness shift and therefore do not fit into the strict left brained thinking and control. They have an innate “ knowingness” and resist untruths. Some Indigos have telepathic abilities and can speak to other spirits in other dimensions. These children carry a vibration of harmony and therefore do not feel comfortable in the denseness of today’s world. They have a tendency to be anti-social and prefer to spend time alone or in fantasy play. Indigos do not think in linear fashion, but rather holographically which is a reflection of higher intelligence. They are “plugged in” to their higher selves. Is fascinated with and easily bonds with plants, animals, and crystals. An indigo child bores easily and is sometimes fidgety or over excitable. What can you do to support Indigo Children? Stare deep into their eyes with a knowingness of unconditional love and understanding. Tell them telepathically “thank you” and that everything is ok.
Introduce them to other indigo children or psychically gifted children. If this is not possible, provide a metaphysical and spiritual environment and allow creativity such as painting, music, dancing, or writing. Allow past life recall and dream interpretation conversations to take place as if they were normal conversation. Keep them off of Ritalin and other prescribed ADD or ADHD medications, and keep them from being vaccinated. These drugs keep them from expressing and doing what they are here to do on the first place. Feed them organic, live foods and make sure they are not exposed to harsh chemicals such as fluoride in the water. Many children are allergic to chemicals in pesticides commonly found in food and tap water. Guard against harsh people or aggressive children and nurture loving relationships. The indigo child will be the one to show what works and what doesn’t. Pay attention to those who can have a special, magical time with your child and encourage this time as much as possible. Turn off the television most of the time, as the programming is too fast paced and harsh. Shows about animals and nature can help to calm them down in high stress situations. Allow the transmutation of emotions through crying and laughing. Sometimes Indigo children will cry at the drop of a hat seemingly without reason. When the child gets old enough to understand, it is helpful to teach him or her to shield themselves with a bubble of light that will not allow other people’s energy into their aura field, which helps them to not be overly sensitive. Adopt a new way of parenting and schooling. If at all possible, overly sensitive and psychic children should be home schooled and often these kids will act out in school as a rebellion against wanting to be there. If home schooling is not an option, be active with the parent/teacher relationship and do not conform to state imposed classical standards of discipline. 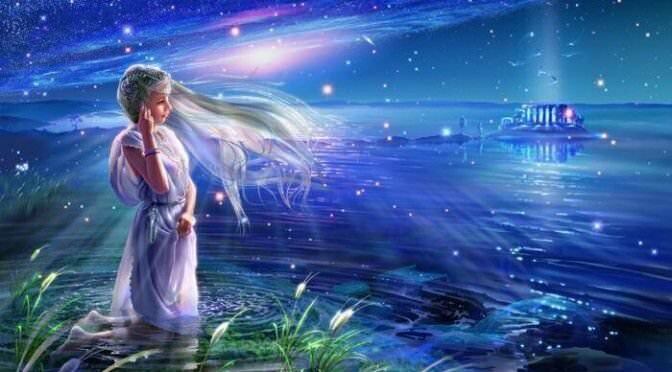 Remember- Indigo children chose their parents before they came into this incarnation, and an agreement was made to support them at this time, knowing they would bring the energies needed to the planet at the time of great denseness and subsequently great transformation. However, just because a child has the characteristics and traits of an indigo child does not mean that they need to be placed upon a pedestal over other children or the parents. It simply means that they have different environmental needs and more metaphysical and spiritual capabilities than most children, although most children will also benefit from the Indigo Child’s environment.